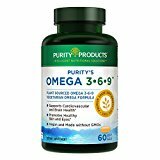 A quick overview of the Best Omega 3 6 9 fatty acids food and supplements.Fatty acids are an important element to a well balanced diet. They cannot be reproduced by the body. So an intake of all three Omega 3 6 9 in the right balance is key to a healthy body. 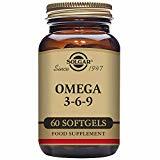 In this review we are aiming to give an idea what to look for in any omega 3 6 9 deficiency’s and guide you with a number of good natural source and supplements which can support and busy lifestyle. Omega is one of the good fats your body needs. t is a crucial part of developing and forming human cell membranes. Omega has been shown to help with brain function and helping with ADHE and dyslexia. It also has been shown to help with controlling blood sugar levels. Which in turn aids weight management. What is EPA and DHA? 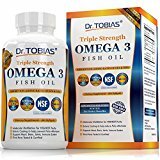 Within the body omega-3 fatty acids are converted to DHA and EPA (docosahexaenoic acid and eicosapentaenoic acid, respectively). DHA and EPA are highly unsaturated fats that play very important roles in the vision development and brain function of infants. One study found significantly lower amounts of EPA in the cells of patients who had attempted suicide, suggesting that omega-3 fatty acids may actually play a role in suicide prevention. 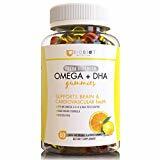 A lack of DHA has been associated with Alzheimer disease, attention disorders, phenylketonuria, cystic fibrosis and other diseases. Blue green algae is a good source of EPA and DHA. Omega 6 is also an essential fatty acid which can’t be reproduced by the body. It can only be obtained from the diet. The main role of omega 6 is to aid with energy balance. This is the most common fatty acid found in the body. t is the only one which can be produced by the body. One of the many studies done on Omega 9 has shown that it has many links to improving insulin sensitivity. Which will have a major effect on lowering the chances of type 2 diabetes. Due to the amount of Omega 6 in our diets. There are very few deficiency for 6 and 9 in the western diet. They both still need to be managed. So the key to balancing all three. 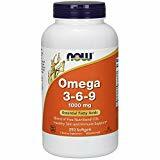 Is to a three month protocol of just omega 3 and then a cycle of 3,6,9.Then take a break and measure how your body is responding to the food and the supplements.